I never buy camos with resupply costs. Once upon a time, I had no camo on any tank, because I couldn't afford the resupply, or felt it a pointless waste of credits on a paintjob. These days I have enough credits knocking around to be able to pay one off purchase prices, and sometimes gold too. If enemies fly too, shoot them like ducks! I know it's a late quote. Not visited forums for long time. The community said: Give us new tanks Wargaming!!!!. 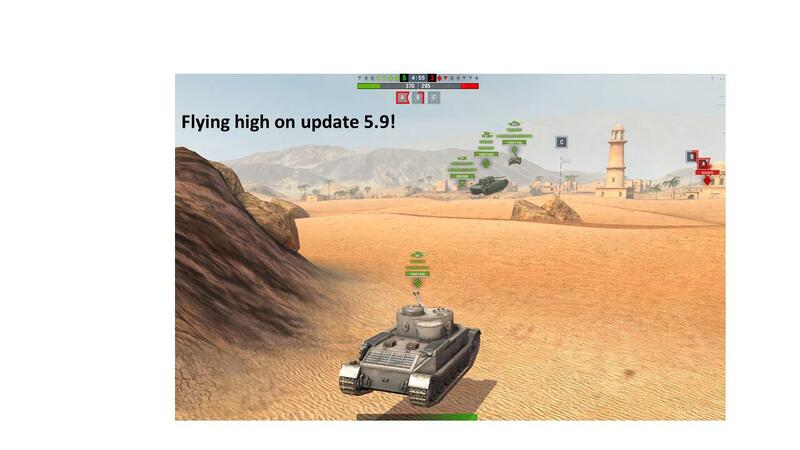 The Wargaming said: Let's remove half of tanks from game to make noobs play comfortable. Result: Tanks got unbalancedTHAT'S THE LOGIC OF EARNING MONEY "TANKERS"
As you see, the area to place the buton to move the tank is bad positioned on this model. The area don’t touch down the screen. If you add the space between the down of the button and the limit of the area, the space is too large if you make peek a boo for example and some times when you want back quickly your fingers touch down the screen but under the button. Could you fix it please, putting the limit of the area on the limit of the screen. It's not a bug at all. @RibbleStripe: Do you see the problem now? How would you feel as a customer in Mjr Easy’s nightclub? I have nothing to add. Everyone is free to fell robbed here. I explained this case and have nothing to add. Edited by BarbierDeTvils, 15 April 2019 - 08:48 PM. To my former post that includes some buffs or rebalances in general, these following tanks I'll finally be able to go into detail with. I believe these tanks could also use some good will from our mighty overlords. Armor buff from 90mm to 100mm. Why? As the premium IS-2 (1945) has almost the identical armor profile with far higher protection, it would only be natural to improve upon the armor. The IS-2 is considered largely probably the least entertaining out of the Chinese heavy tanks. Turret front buff from 170mm to 175mm. Slight, but it would make the turret much more reliable than it is now. Dispersion factor buff. While the dispersion itself isn't exactly shiny, it's not bad. The issue comes in with the dispersion factors, which while not much higher than for example the new WZ-111-1G FT, they make quite a difference when you whiff everything in point blank range. With 258mm of AP pen, nonetheless. Turret cupola removal. As the whole tank doesn't have any armor, the cupola placed on the top of the turret only makes it easier for the enemy to hit the tank before it even comes out to take a shot, which heavily reflects upon the tank as a whole. It's a splendid machine otherwise. It was you asking explanations from players, you got it, now you have nothing to add? Hmmm. The Oxford comma. Probably not the best example. "Eats, shoots and leaves" vs "eats shoots and leaves" is probably better. For many people they would not of bought these as once they are no longer free resupply then they are no better value then stock camos. And they are not the most amazing. But re-reading the patch notes and the patch video they do say “IN 5.8” so it is correct for just that patch. If they had said “From 5.8” then you would expect it to be continuously free. I dont see why they cant be free resupply as you need to put in a bunch of battles to see the cost savings from buying them. This means these players online and always good for server population. Phew you saved me from my inner pedant. "and I say unto thee, this day you shall dine with my father in heaven." Saying that though the first bibles did not even have any spaces between words let alone being written before punctuation was invented. Those examples have nothing in common with camo case. I wish i got real explanation. Good thing here there won't be free camo anymore. So no one will be robbed. This is why i suggest to discuss smth else. Our 5.10 stream for example. Any feedback on it? - In the medium chest you can get free XP, this is nice and avatars and erm... boosters. Well this is nice. Next chest, 3,2,1.. I am summarizing slightly maybe, but that was my general feeling. Otherwise nice guys, quite clear description. on a serious note, it truly is becoming a “World of Crates”. Currently we have up to 6 missions with rewards per day which will be replaced with up to 10 missions unlocking up to 4 crates with random rewards- I kind of liked the idea of knowing what the rewards are upfront and having the option of resetting missions. Are the current daily crates being merged into the mission system or will they continue to exist independently? From the stream video I got an impression that overall it will be more work for less rewards which appears to be the trend across the game. On the other hand, for people with real life daily resets will be more manageable and may result in greater actual gains, I guess a lot depends on how you set up the RNG but again, from my previous experiences with blitz crates my expectations are rather low. Edited by Replicant_2, Today, 01:40 PM.